Tethering feature is failure after upgrading my Sony Xperia Z to 5.x Lollipop every time. I need to fix it with debug tool 『adb』 for android development. 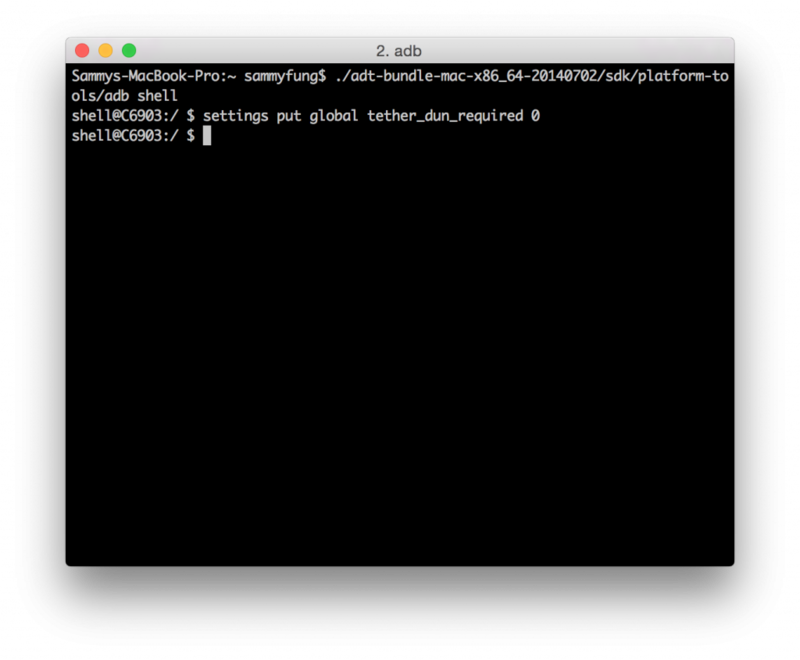 If you got Android Development Kit installed, you can run 『adb shell』 to get debug shell console, and then change the value of tether_dun_required in global namespace to 0. This entry was posted in Gadget and tagged android by Sammy Fung. Bookmark the permalink.